Find answers to the most common questions we get asked. Learn more about WeFix and who we are. 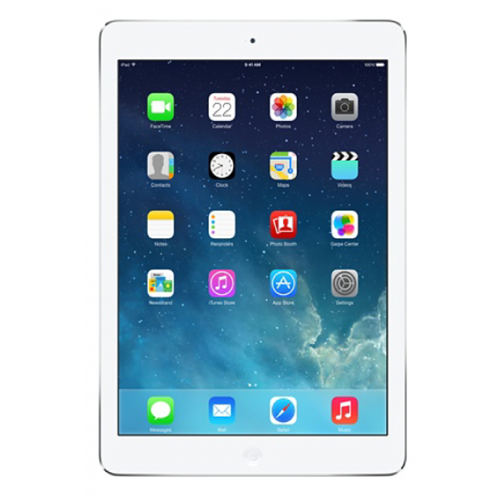 The iPad Air was the first generation in the iPad Air tablet range. The main attraction towards the iPad Air was the slimmer and lighter design when compared to a standard iPad. The iPad Air marked the first major design change away from the original iPad series of tablet computers. These design changes lead to a 22% reduction in weight over the iPad 2. FaceTime was much improved thanks to a new front facing camera and this included automatic face detection. Interestingly the iPad Air shared many components with the iPhone 5S. Available in 16GB, 32GB, 64GB and 128GB internal memory options. Released in November 2013, it was discontinued in March 2016 but still remains a desirable tablet. If your iPad Air has taken a tumble, then it could be time to book a repair with WeFix. We can replace your cracked screen, change your home button, replace broken volume buttons, headphone jacks and tired batteries. * Finance provided by PayPal Credit. Subject to status. Terms and conditions apply. Credit subject to status. UK residents only. Revive a phone Ltd acts as a broker and offers credit solely from PayPal (Europe) S.à rl et Cie, S.C.A, 22-24 Boulevard Royal, L-2449, Luxembourg. Copyright © 2019 WeFix. All Rights Reserved.